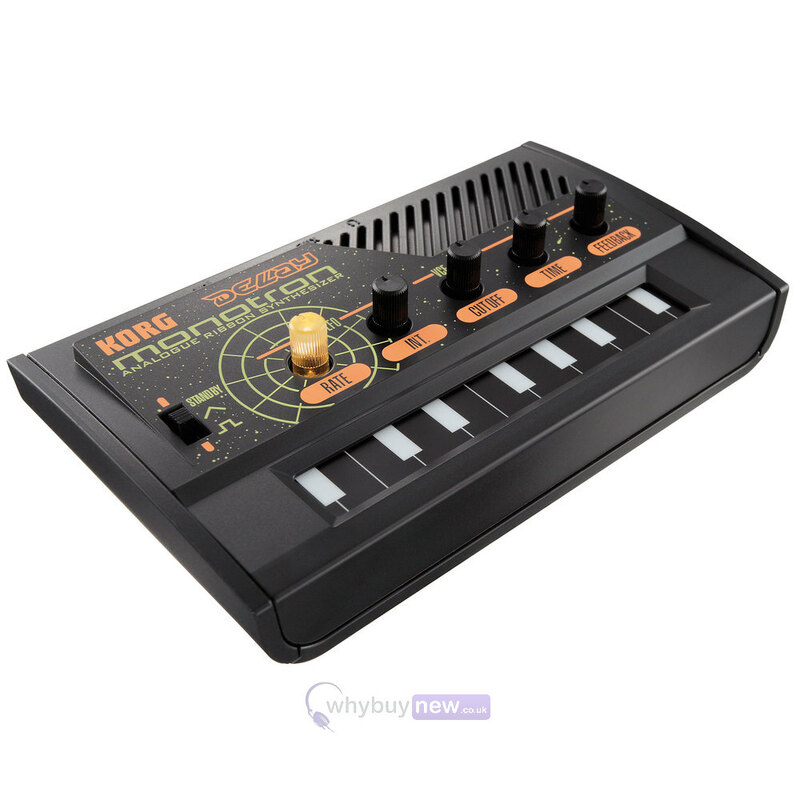 Korg Monotron Delay analogue ribbon synth continues the legacy of Korgs' hugely popular series of analogue sythesizers. Based on the legendary Monotron, the 'delay' features two key differences which set this pocket sized synth apart from its' older brother. Firstly, Monotron Delay features their unique 'Space Delay' effect which allows you to incorporate clever (and seriously funky) analogue echo effects into your music. Monotron delays' other notable difference is it's cool retro design which resembles something from a 1970's video game. 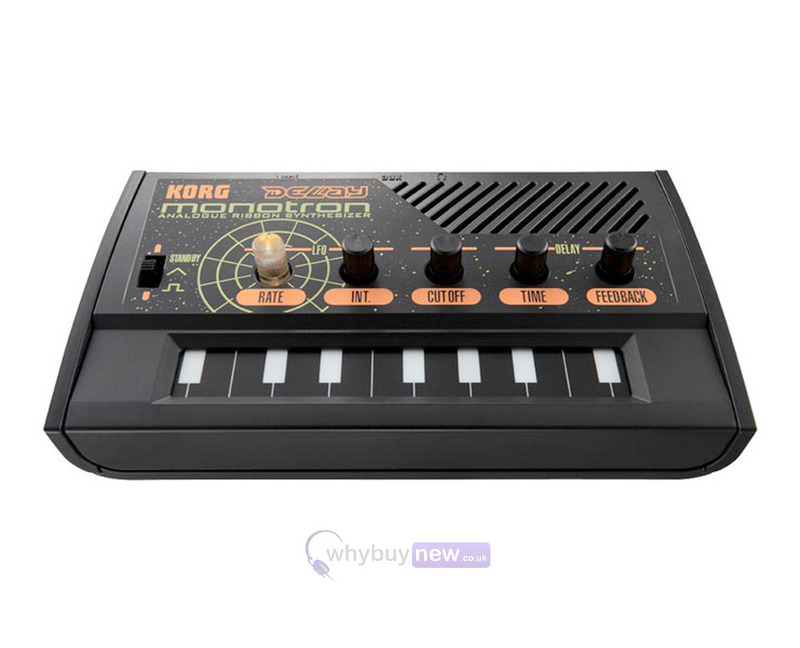 Admittedly, this new paint job doesn't make the Monotron delay sound any different but who wants a boring black box when you can have an analogue synth that looks like something straight out of space invaders. 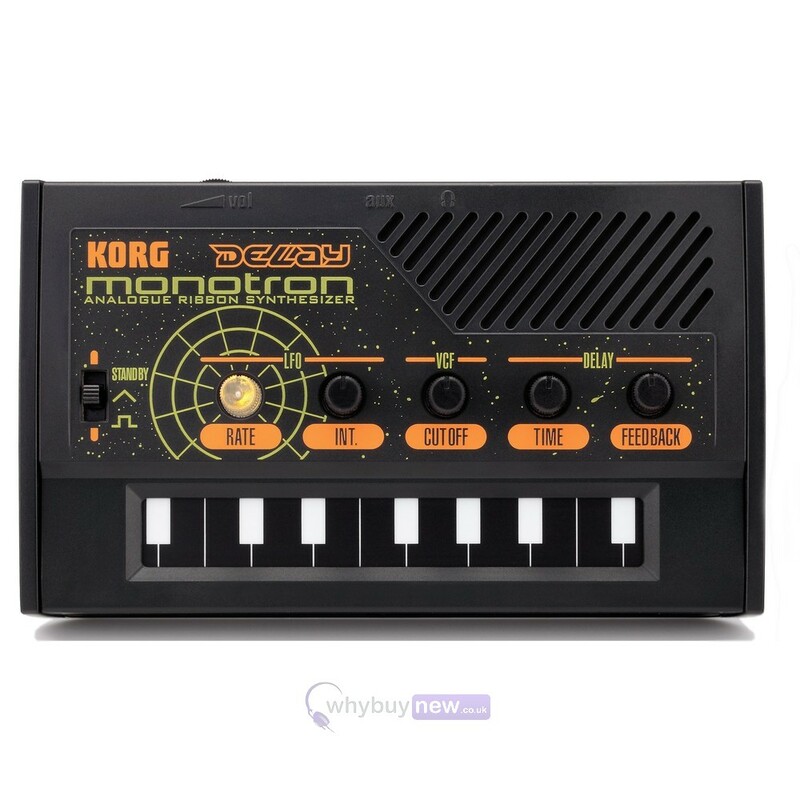 It's easy to assume that with all these cool sounds and funky new look that this latest Korg Monotron is nothing more than a novel gadget. Although it's true that Monotron delay is a lot of fun it is also a fantastic audio tool for bringing that extra dimension to your performance. For example, a gigging band could expand their sound by harmonizing with another instrument or using Monotron solo for some awesome live effects. 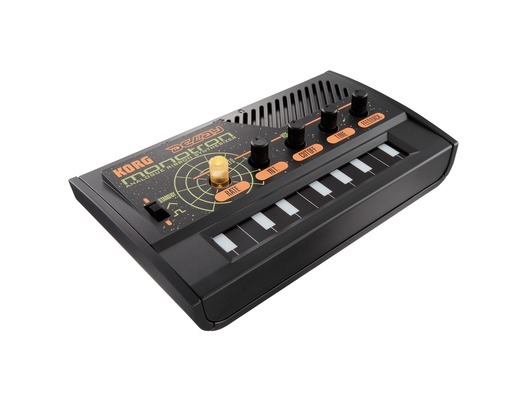 The Korg monotron circuit is radically simple: one voltage-controlled oscillator, one voltage-controlled filter, and one low frequency oscillator. Since each knob directly applies a specific change to the sound, the process of sound creation is intuitive, and instantly understandable. Simple is best. Gone are the deep lists of presets and parameters typical of today's synthesizers. Instead, the monotron encourages exploration and experimentation. The monotron provides the joy of sonic creativity that's at the heart of analog synthesis, making it an ideal choice for someone who is new to synthesizers, or for musicians who wants to expand their sonic palette. The other great advantage of this simple design is that Montron delay is an absolute bargain so whether you're in a band and want to add a few funky effects to your set, a producer looking for a new sound or you just think the Monotribe delay is a bit of retro fun it's almost guaranteed to be within your budget. Dimensions: (WxDxH) 120mm x 72mm x 28mm / 4.72" x 2.83" x 1.10"